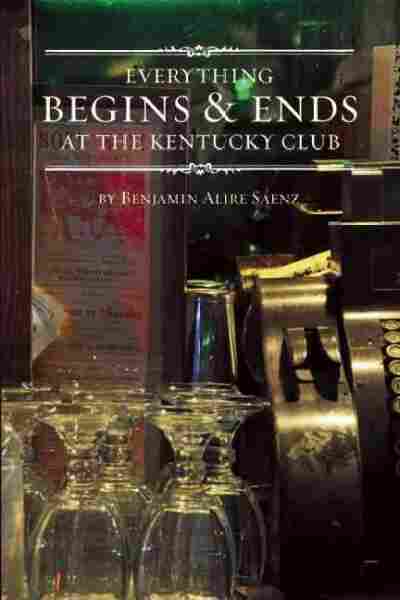 Author Interview: Benjamin Alire Saenz, Author Of 'Everything Begins And Ends At The Kentucky Club' Benjamin Alire Saenz won this year's PEN/Faulkner award for his latest collection of short stories, Everything Begins and Ends at the Kentucky Club. The real-life Kentucky Club is just south of the U.S.-Mexico border, and Saenz joined a reporter there to talk about life in two countries. Author Benjamin Alire Saenz writes about life on the U.S.-Mexico border. Here he holds his latest book, Everything Begins and Ends at the Kentucky Club, in front of "$26," a painting by Francisco Delgado (the presidents in the painting appear on American bills worth a collective $26). On a Saturday night, the bridge that links downtown El Paso, Texas, to Ciudad Juarez in Mexico is hauntingly still. Once, this was a border crossing flush with life; now, after years of brutal drug violence, it's like a graveyard. It's certainly not the border that American author Benjamin Alire Saenz recalls from his high school days. "We'd all pile in a couple of cars. 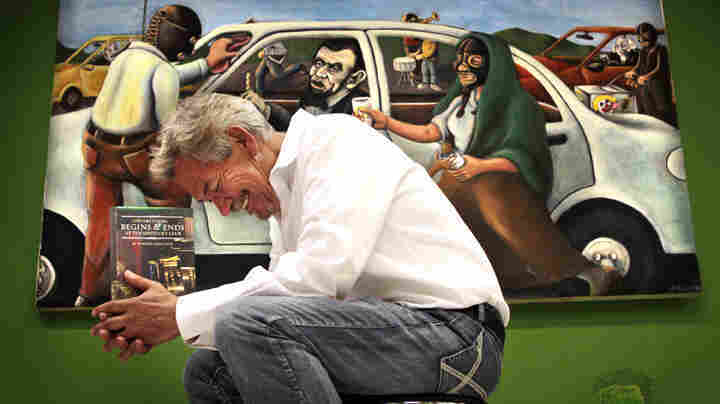 There'd be like 10 of us and we'd come over to Juarez," Saenz remembers. "We'd go to all these places like The Cave, the Club Hawaii ... the Kentucky Club ... and we would just have a good time and laugh." Ciudad Juarez is a sprawling city of more than a million people. It lies directly south of El Paso, like a muddled reflection off a mostly arid Rio Grande. For Saenz, this meeting place between the U.S. and Mexico is home. The border is more than just a place in his stories; it's a silent but ever-present character. A few blocks south of that international bridge sits an old prohibition-era bar, a legendary spot that links together Saenz's latest collection of short stories. The book, which won this year's prestigious PEN/Faulkner award, is called Everything Begins and Ends at the Kentucky Club. This a Saturday night, and unlike the deadly quiet border bridge, the real-life Kentucky Club is pulsing with energy. 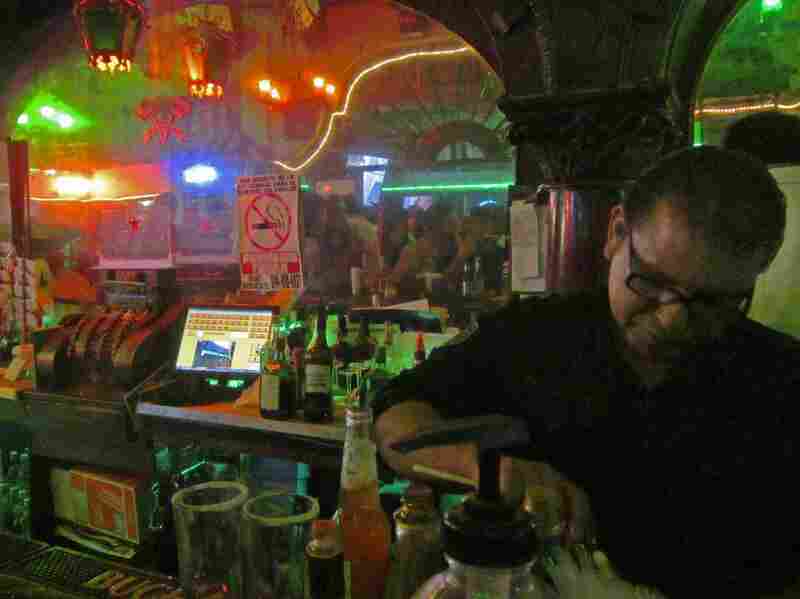 With a declining murder rate in Juarez, locals are going out again. Most Americans, though, are still reluctant to return. Behind the grand oak bar, a one-eyed bartender in a white collared shirt stirs up the Kentucky Club's signature drink. Locals like to brag that this is the birthplace of the margarita, a disputed claim at best. But it's certainly true that this place has history; it's been around since 1920, when prohibition drew in throngs of thirsty Americans. "It's the knot that has for generations tied the two cities of Juarez and El Paso together," Saenz says, explaining why he chose the club as his book's unifying thread. "That's why this place. Because it's still here ... "
His book isn't really about the Kentucky Club. That's just the place where his characters like to end up. The book is about the lives of people on the border — those who slide between two countries as if they were two neighborhoods. There are stories about love, drug addiction, coming of age and identity. "Imagine someone in El Paso loving someone in Juarez and imagine that person getting killed," Saenz says. "That happens — that's happened. So I just put it in a story." 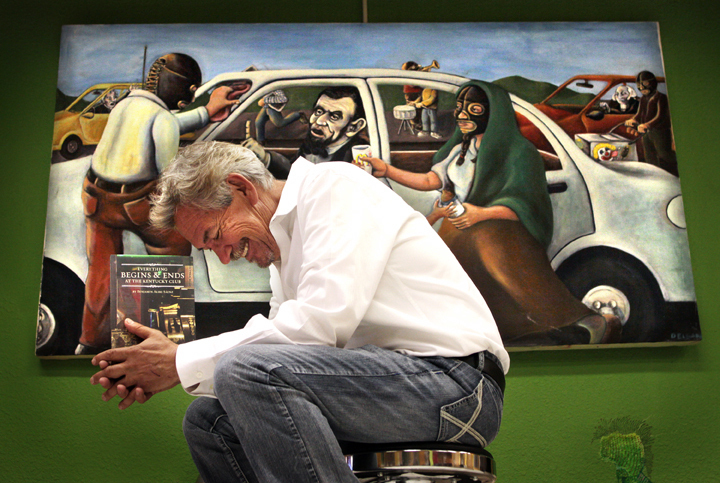 Saenz's publisher is a small, family-run company in El Paso called Cinco Puntos Press. It takes pride in publishing authors with diverse backgrounds, whose work often carries a political message. John Byrd, who runs the shop with his parents, explains their mission like this: "I think that too often news and information about the border is generated away from the border. And so what we're really hoping to do is to allow the border to speak for itself." For almost a century, the Kentucky Club, just three blocks from the international bridge, has been a nightlife destination for residents of El Paso and Ciudad Juarez. Saenz grew up on the border. At 26 he became a Catholic priest, a calling that lasted only three years; after that, his future belonged to writing. His 19 works include poetry, children's books and novels, many of which are set at the border. A.J. Verdelle, a writer and a judge for the PEN/Faulkner Foundation, says Saenz's treatment of life in two countries was one of the reasons his book stood out among the 351 entries. "I felt like I was reading about the United States and Mexico. I felt like I was reading about permanence and transference — that is, crossing back and forth," Verdelle says. "There's a tremendous tension of duality in this book, and it definitely made the book better and more complex." Back at the Kentucky Club, Saenz takes a long drag from a cigarette. As William Faulkner, the namesake of the prize he just won, wrote about the American South, Saenz says, he writes about the American border. "We're people who feel and breathe and die and suffer and hope for salvation and yearn for love," he says. "We're not just a newspaper headline." This story came from Fronteras, a public radio collaboration in the Southwest that focuses on the border and changing demographics.